EIC’s thermoelectric air conditioning units are designed to cool your electronic and electrical controls, instruments, computer terminals, printers, telecommunications equipment, surveillance devices, cameras, laser and optical equipment and many other electronics in variety of environments. 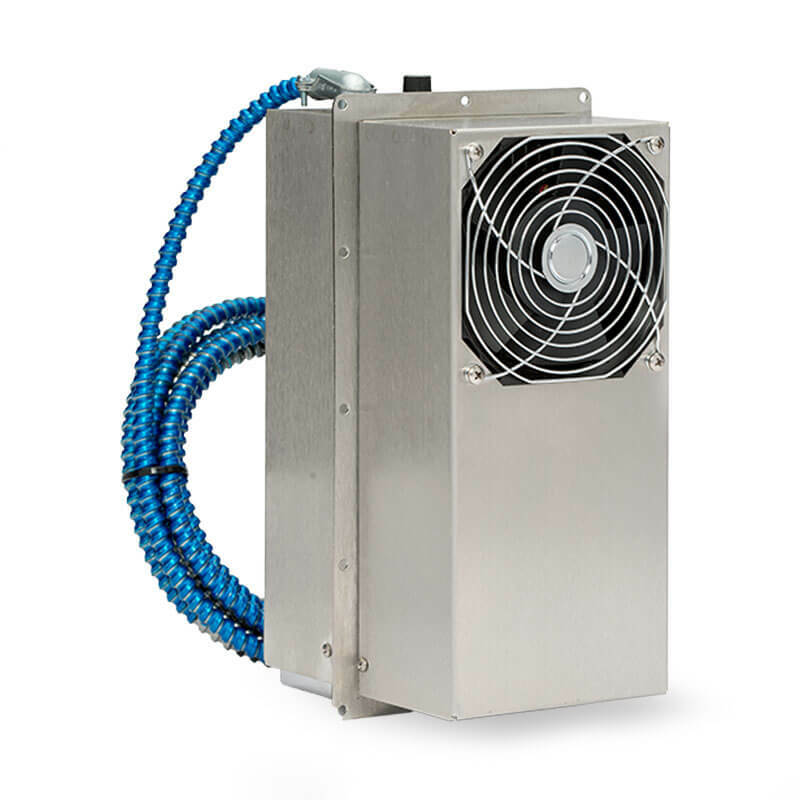 Our thermoelectric cooling systems are designed for use with a wide range of enclosures and transit cases, models are available for both indoor and outdoor use in 120 VAC or 240 VAC power configurations. Coolers feature corrosion-resistant stainless steel construction. All are available with a variety of options. Hazardous location models are designed for use in Class I, Division 2, Groups A-D. These units have been certified by a nationally recognized independent testing laboratory to meet the requirements of Heating and Cooling Equipment, (UL 1995 4th edition, October 14, 2011); Electric Heaters For Use in Hazardous (Classified) Locations, (UL-823, October 20, 2006, Ninth edition); Nonincendive Electrical Equipment for Use in Class I and II, Division 2 and Class III, Divisions 1 and 2 Hazardous (Classified) Locations (ISA- 12.12.01-2000, 6 April 2001).